Silt is considered to be a life threat for hydropower/Storage reservoir projects such as weirs, dams etc apart from decreasing capacity of these projects it also damages the mechanical parts of hydropower projects. To remove/reduce silt from rivers/water settling basins or Under sluices are usually adopted, If reservoir of a weir would itself act as settling basin then there would be no need for settling basins. Settling of sediments upstream of weirs is not a desired issue. Thus undersluice next to the intake structure is designed and trainer gates in case of a narrow valley say. 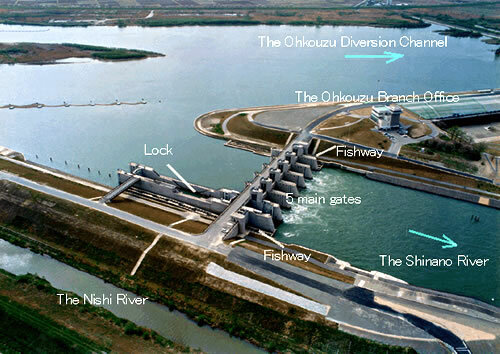 Spur dikes can also be constructed inside the reservoir at the side where the intake structure is located. So it can decrease siltation in front of the undersluice and cause more siltation at upstream of the fuse plug(embankment) on the other side. This should be subject to a lab test.The water will still carry some silt. While trying to reduce the cost of a structural component of a run-of river one cannot save money but definitely lose money. For the floating objects at upstream of the intake one can use a floating rope diverting unwanted floating objects to the weir concrete main body. Removal of silt is practically possible as long as the design criteria of the settling basin is followed as well as modeling of it to see the Froude number and velocity inside the bays of the settling basin. One can remove silts maximum up to 90% by creating an efficient settling basin. Settling basin can be constructed at any suitable location upstream of intake structure as there is not a certain dictated distance for the settling basin location from the intake structure. Site Conditions determine it. Intake structure's underneath and the settling basin's underneath being strong rock are desirable things. It’s being close and parallel to the river at downstream of the river shall ease the releasing water by over topping. Flushing channel may be open channel or pressurized, if open channel it is cheaper. Flushing Channel must directly be connected to the river. If there is a dam at upstream of the diversion weir you are luckier because the flow amount shall be in control and sediment amount shall not be as much as the conditions when there was not a dam at upstream. A settling basin needs to be constructed no matter how much you see it as useless. It is an organ of the run of river just like the nose of a human. It cannot exclude it.